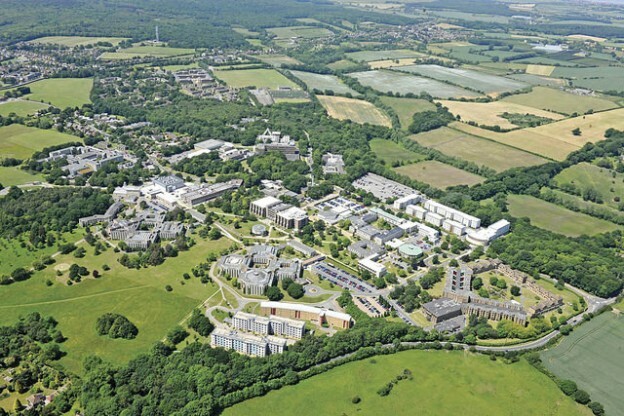 Some drivers attending the University are parking in a layby that belongs to Kent Highways. This layby is for the use of Kent Highways only for maintaining the crossing. People parking in this layby, on a constant basis, is a cause for concern as their vehicles potentially restrict driver vision of any pedestrians at the crossing. 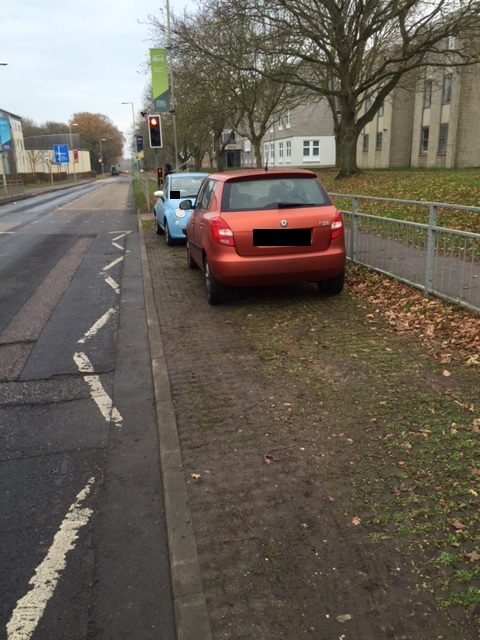 Giles Lane is a public highway and is enforced by Canterbury City Council Enforcement Team. Warnings have already been issued to some drivers but as parking in this area continues, it is highly likely that Penalty Charge Notices will now be issued. A Penalty Charge Notice issued by Canterbury City Council to a vehicle in violation on Giles Lane will be charged at £70 (reduced to £35 if paid within 14 days). Please note we are recording details of any vehicle which is parked in this area and passing this information on to the Director of Estates. This entry was posted in News and tagged Giles Lane, parking, pelican crossing on February 27, 2017 by Miriam Sandiford. On Thursday 2 March the Sports Centre blue zone car park will be closed on request of Kent Sport. This is to assist them with hosting their annual Boccia event. 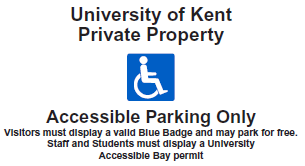 Please remember that Accessible Bays can only be used by valid Government Blue Badge holders or University of Kent Accessible Permit holders. It is essential that these bays are kept free for those who require them. There are 528 parking bays in Giles Lane car parks. This means that around a third of the parking bays will be closed to permit holders on Wednesday. On this day, Campus Security will endeavour to inform staff and students when this car park is full by placing notices on Giles Lane. You may find that you are required to park in the Park Wood Courts car parks and therefore we recommend you consider this when planning your journey to the campus. As per the Traffic Regulations, although we do not guarantee a space, parking should still be available in other car parks including car parks around Park Wood Courts. There are pedestrian signs within Park Wood Courts which inform you of the average time required to walk to the main campus. Alternatively, you can use the Park and Ride bus ticket that was sent with your parking permit to travel to and from the main campus. Car Park locations can be found on the following link but if you are unsure please contact us. This entry was posted in News and tagged parking, parking disruption on February 24, 2017 by Miriam Sandiford. We have been made aware that some people are parking in accessible bays on campus when not entitled to do so. It is essential that accessible bays are only used by those with a valid Government Blue Badge or accessible permit to park. If people with a real need for the bays cannot park, it can seriously disrupt their day and may result in missing lectures or work time. If you park in accessible bays when you are not entitled to do so, you may receive a Parking Charge Notice. There is no warning given for this PCN. If you cannot find a space, drive to another car park valid for your permit. Park Wood Courts generally have spaces available every day. This entry was posted in News and tagged accesible bays, accessible, parking on February 21, 2017 by Miriam Sandiford. There are 528 parking bays in Giles Lane car parks. This means that over a quarter of the parking bays will be closed to permit holders on Wednesday. On this day, Campus Security will endeavour to inform staff and students when this car park is full by placing notices on Giles Lane. You may find that you are required to park in the Park Wood Courts car parks and therefore we recommend you consider this when planning your journey to the campus. Please see car park map for location of car parks, but if you are unsure please contact us. This entry was posted in News and tagged applicant days, parking on February 21, 2017 by Miriam Sandiford. There have been requests to reserve parking for events on campus next week. All event coordinators encourage visitors to travel by public transport, where possible. The Pavilion car park will reopen fully on Wednesday. There are 528 parking bays in Giles Lane car parks. This means that over a third of the parking bays will be closed to permit holders on Wednesday. On this day, Campus Security will endeavour to inform staff and students when this car park is full by placing notices on Giles Lane. 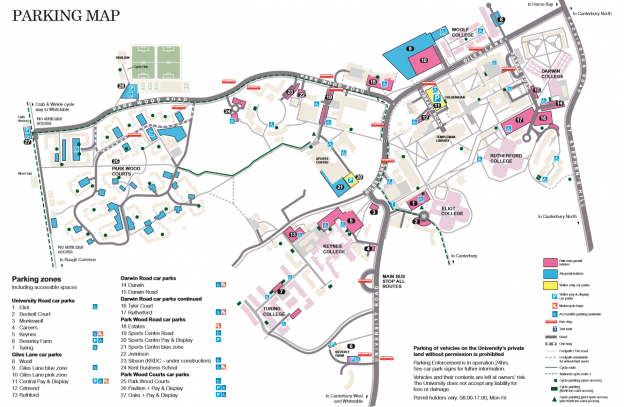 You may find that you are required to park in the Park Wood Courts car parks and therefore we recommend you consider this when planning your journey to the campus. This entry was posted in News and tagged applicant day, Canterbury, parking on February 14, 2017 by Miriam Sandiford. 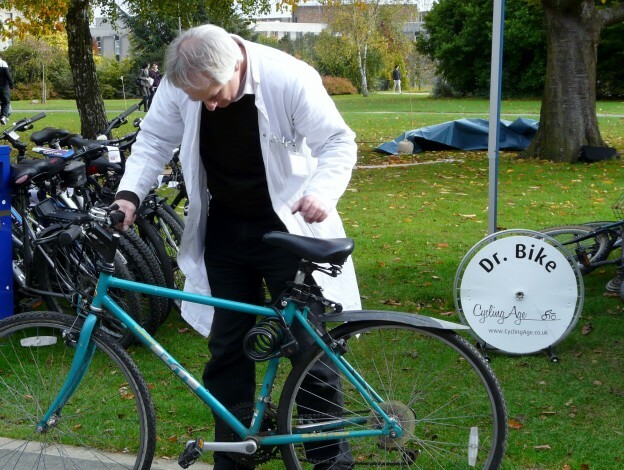 Dr Bike is a free service available to University of Kent students and staff. Trained bicycle mechanics come to campus to check over and adjust your bike for free. Dr Bike will be located on the grass in front of Rochester Building on the Pembroke campus between 11:30 and 14:30 on these days. Please check the @unikent_travel twitter feed (which can also be seen on the Transport News webpage) for confirmation on the day. 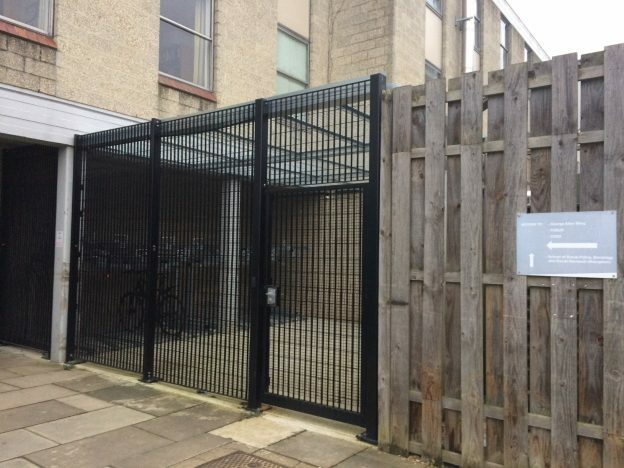 This entry was posted in News and tagged bicycle, bike, cycle maintenance, cycling, Dr Bike, free, staff, student on February 1, 2017 by Miriam Sandiford.